Discussion in 'The Lounge' started by Sandwich, Aug 16, 2012. My wife's Elantra won't start. I've previously removed the battery and took it to THE ZONE and they recharged it, as it was dead, and then tested it, and said it was good. The car started right up and ran fine for a month since then. Yesterday, she didn't drive it, and now it's dead again. Is it fair to assume that it's probably the alternator that's gone bad? What other obvious things can I try? The start problem is clearly from the battery, and not the starter side. It'll wub...wub..wuuub...vrooom, just like you'd expect a weak battery to do. Alternator has internal diodes that can short out and drain the battery when the car is off. If it is going a full month without the problem I think you may be leaning towards something else. I'm standing by my statement, the diodes can slowly drain the battery when the car is off. This is pretty well known. Many places will only test the alt output, make sure they check the diodes. 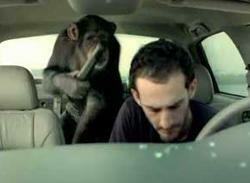 I'm trying really hard to imagine what a car monkey type person looks like. i plan on taking the alternator and the battery to THE ZONE for a test. I assume, when they bench test it, they'll make sure it's good? I don't want to GET IN THE ZONE then find out they didn't test a thing that does stuff. I'm not sure it's been a full month. It's been a while, and they fully charged the battery and the electronics all work, so I believe it's gotta be a very slow drain, or it would be dead in another night. Electronics don't run long on battery alone. Well something like a radio amp staying on will drain a batery in a night or two, and if it is staying on intermitandly that would explain it, or a door switch staying on sometimes too..... Better way to test the alternator is int he vehicle, the az bench machine will not give it a proper load test without a battery attached in the system, nor does their system check the diodes. My suggestion for that is to get the battery charged up and drive the vehicle to a shop that can properly load test the system, it will tell you substantially more of what is going on. I think you should get her an old Audi A6. The other thing you can do is pull the fuses and check amperage draw on each circuit which might help identify where your issue is. Shouldn't take more than 30 min if you have an ammeter. Whell, spent the three effin hours taking the alternator out, only to have them tell me it's fine. It must be a draw somewhere. I was really hoping this car would last another year...I don't have the testing equipment to check each circuit, so the next stop might just be the shop. You can buy a multimeter anywhere. Pull the fuses, set the meter for amperage and stick the probes where the fuse would go. With the car off, they should all read zero or close to it. If you find one pulling even low amperage, start checking things in that circuit. or take it to a shop and write a check for them to do it. Automotive stuff isn't brain surgery. have you tried it now yet? This...... If its a draw this is how to find it right here.... it really is pretty easy to do..... If you need details on exatly how to do it I will go into them.... Digital meters work best for this.